Do you want to learn to swim? Visit our Learn to Swim section to find out more information. There is no Poll running at present. If you have any suggestions for a monthly poll please submit your question along with possible answers using our Contact Page. 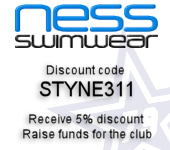 The Club aims to promote swimming locally, in an atmosphere where all swimmers can experience the fun of competition and reach their full potential. Swimmers will be able to compete at their own ability level and go as far as possible from club to county to national standard and beyond. 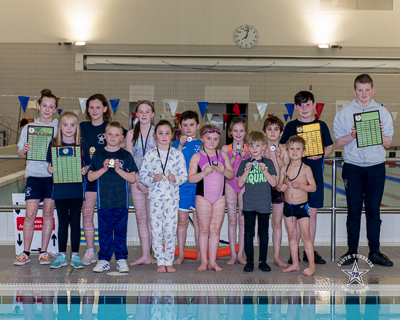 South Tyneside Swimming Club provides an atmosphere where members will find swimming an enjoyable and sociable experience, where the club will become a way of life and members will find friends for life. As well as the swimming side of the club there is a good social side with trips, discos, evenings out etc. We hope you find our website informative and if there are any comments, suggestions or questions, please use our Contact page. We need donations of prizes for our Spring Meet being held 27th - 28th April 2019. Please click on more for more details.